Dark chocolate and strawberries are one my absolute favorite flavor combos! 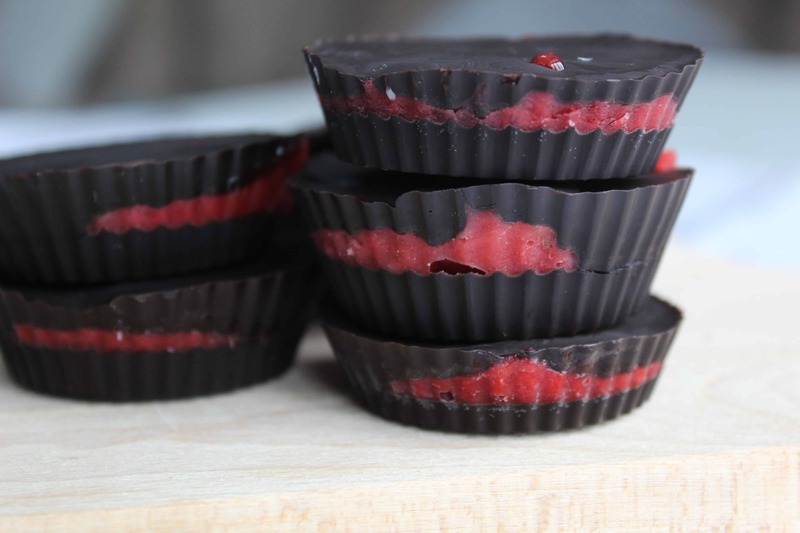 And these strawberry chocolate fat bombs totally hit the spot when a craving hits! 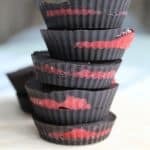 These strawberry keto fat bombs are dairy free and delicious. 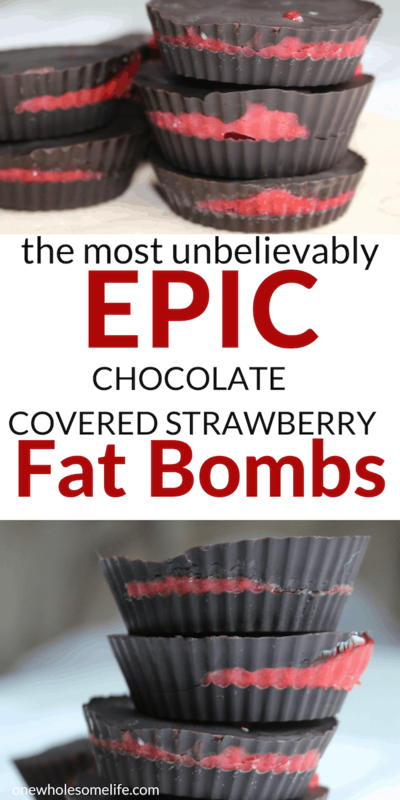 In my opinion, you can’y got wrong with keto fat bombs made with strawberry! This recipe comes together super quick and the results are amazing! 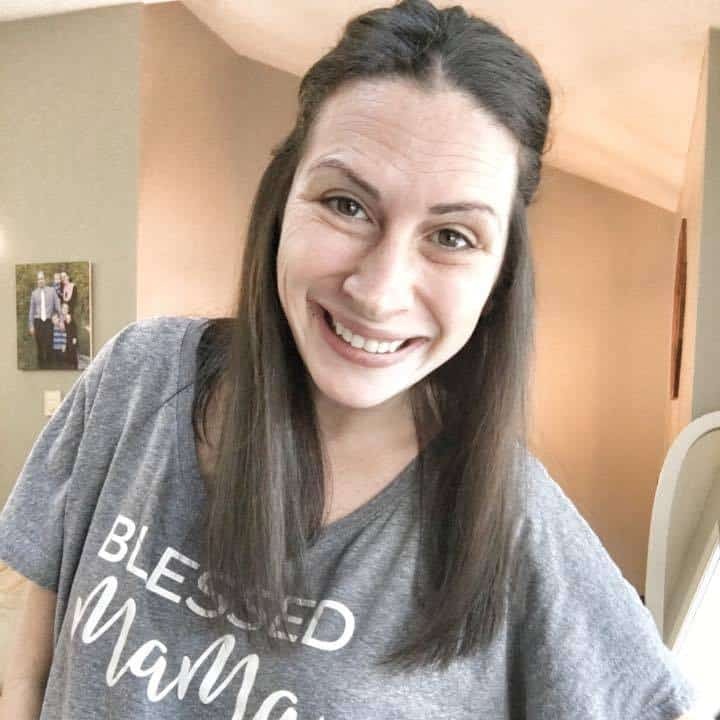 If you have not heard of fat bombs yet – you have been missing out! They are a high fat, low carb treat. They are great because you get to enjoy a decedent treat without the sugar crash afterwards. 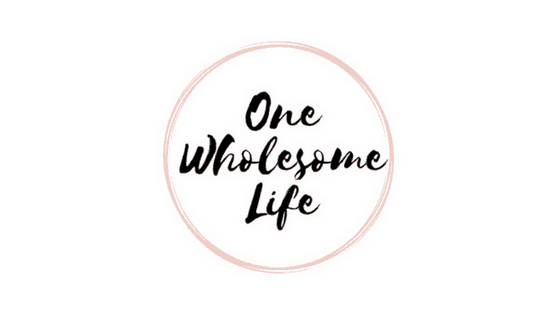 Fat Bombs are typically enjoyed by those following a keto diet but they really are a treat anyone can enjoy in moderation. If you are new to the keto diet be sure check out the best way to get started on the keto diet NOW. RELATED: Five Tips To Help You Get Started on the Keto Diet Now. These chocolate covered strawberries are made using only 4 simple ingredients. Dark Chocolate – Dark chocolate is high in antioxidants. 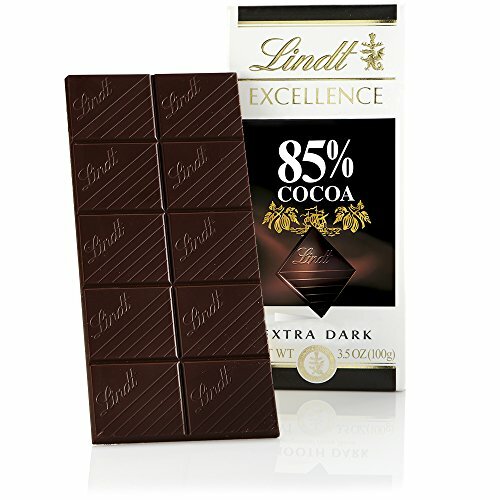 For the dark chocolate I reccomend using 85% cacao. The higher the percentage of cocoa – the less carbs and more health benefits there are. LINDT BAR makes a great option. When melting chocolate I always use a DOUBLE BOILER but if you don’t have one the microwave would work. Coconut Oil – The coconut oil is added to the dark chocolate when melting. Coconut oil is high in saturated fat and helps to keep you FULLER for LONGER. Be sure to use ORGANIC AND UNREFINED COCONUT OIL. Strawberries – Strawberries are a low carb fruit. They are cooked over low heat with SWERVE until they break down. It only takes about a minute or two. Make sure you are mashing them up with a fork or potato masher while heating. 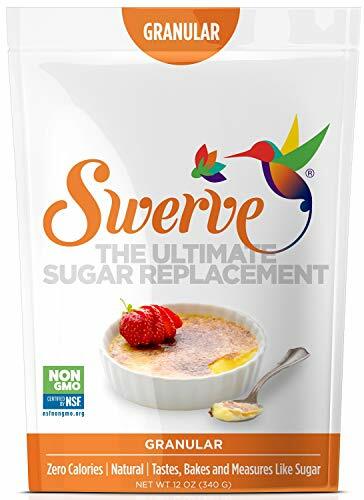 Swerve – Swerve is my favorite low carb sweetener. I order it from Amazon and always have some on hand for low carb treats. 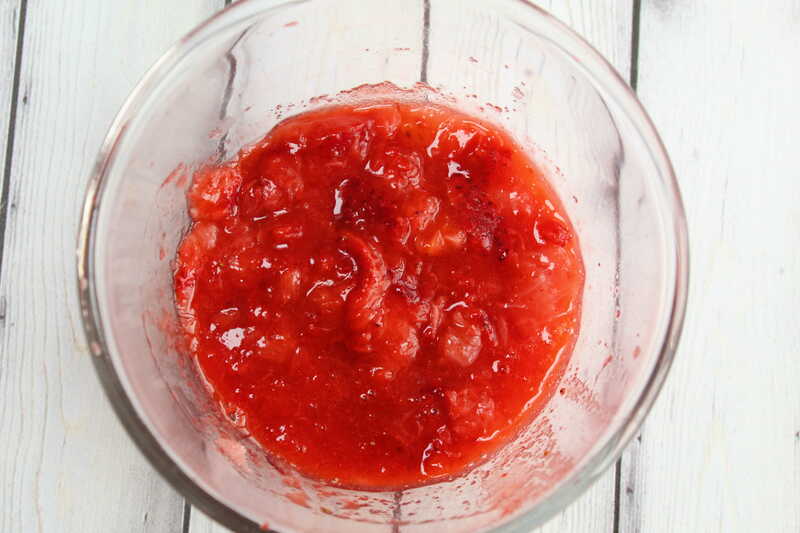 It is used in this recipe to sweeten up the strawberries a bit. I use two teaspoons but you can use more or less depending on your taste. These fat bombs are SUPER rich and I normally only have one half of a cup at a time. I store them in the freezer but take one out a time to let it soften a bit before I eat it because I like the strawberry filling better that way. I use the silicone liners because they are super easy to work with and they can be reused. 1. Sprinkle swerve over the strawberries and mash them up with a fork. Cook over low heat until they break down, making sure to mash them up with a fork or potato masher while heating. 2. Melt dark chocolate and coconut oil using a double boiler or the microwave. 3. Put about 1 tablespoon melted chocolate into the bottom of 8 muffin liners. 4. Freeze for about 10 minutes. 5. 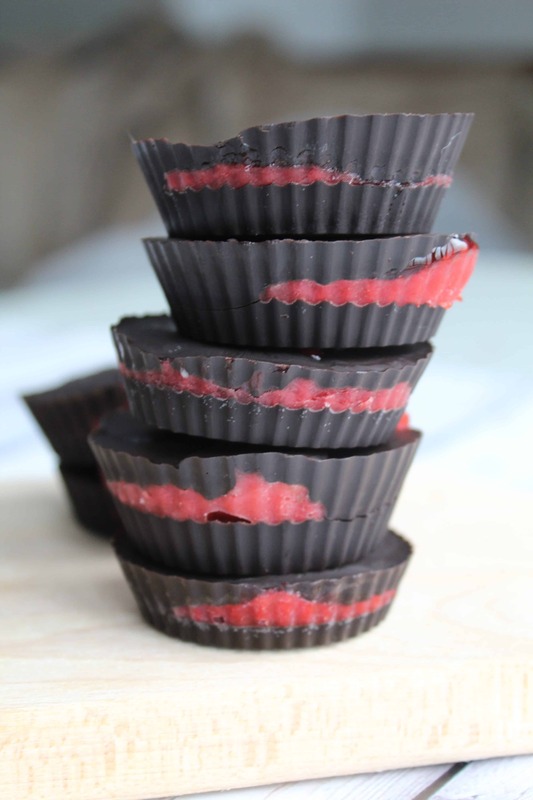 Distribute strawberry mixture evenly over the chocolate in the muffin cups and freeze for another ten minutes. 6. Top with remaining chocolate. 7. Freeze for another 1-2 hours or until the strawberry center is frozen solid.